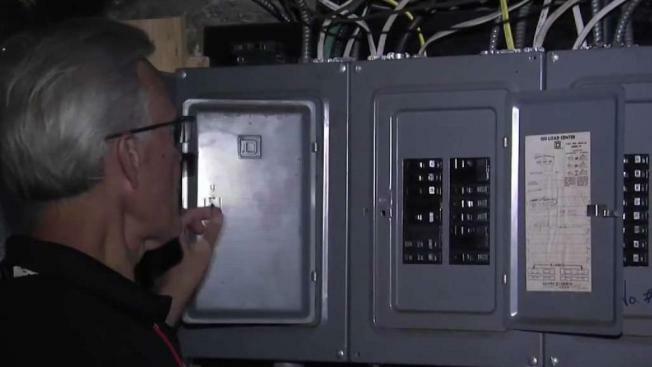 State officials and crews from Columbia Gas began inspecting homes in Merrimack Valley to check out damaged appliances and to vent gas still in the lines following the explosions and fires two weeks ago. Home assessments are underway in Merrimack Valley communities affected by the gas explosions that rocked the area earlier this month. Crews with MassSaves that are undertaking the evaluations are also checking whether it's safe for affected homes to have space heaters installed and determining which appliances may need to be repaired or replaced before gas services return. "This is about making sure people have some source — some other source of heat," said Columbia Gas spokesperson Judy Rakowsky. For Lawrence resident Zoed Ayala, it's a welcome sight because her family has been without hot water and heat for nearly two weeks. "It's a great thing. We boil water to shower — at least the kids. The adults, we don't really care that much," Ayala said. Explosions and fires rocked through Lawrence, Andover and North Andover on Sept. 13, killing a teenager and injuring dozens more. Teams of plumbers, electricians and workers are also inspecting CO detectors and smoke alarms and replacing them if needed. "We're also checking out smoke detectors for every location to make sure they're in compliance with the fire department's standards," said one inspector.